I call the motto of my Venice Retreat Days “Fairy Tales in True Venice”. We were lucky as the weather in late June was balmy. Not yet hot. We started this particular morning with a cappuccino in a pastry store in the midst of Levantine Venice. Sun rays made reflections on the brick stone walls, and the lush green plants drew long shadows along the rosso veneziano painted walls. 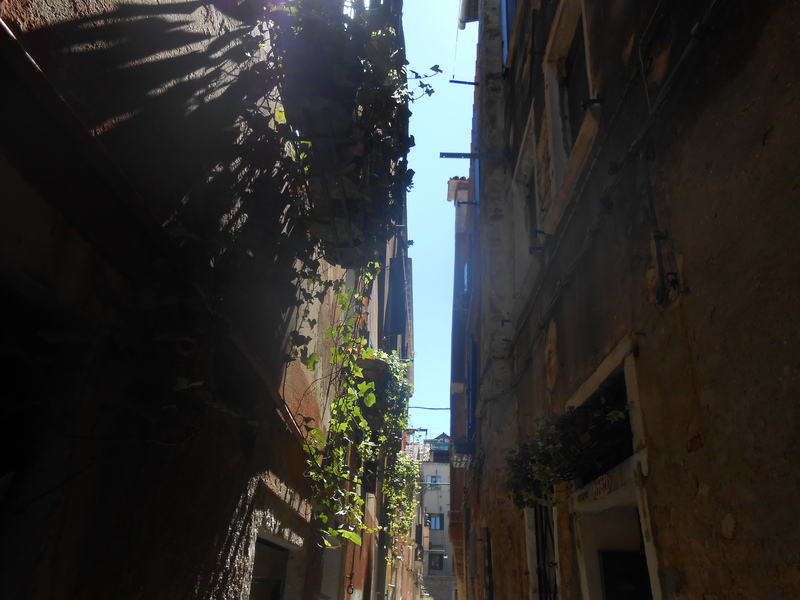 We passed down a narrow road with lots of hanging kitchen gardens. A morning leading us into the part of Venice where Levantine communities had lived and worked since the 14th century. You can still feel the traces of this unknown piece of history. Smell long forgotten pastry recipes. We learnt about bread recipes and the history of Levantine cooking. How this cooking can be considered the first fusion cuisine in the world. We learnt about silk trees, went to visit a palace garden with pools full of giant water lilies and took a refreshing fruit and herb aperitif in the most opulent Levantine garden in town. 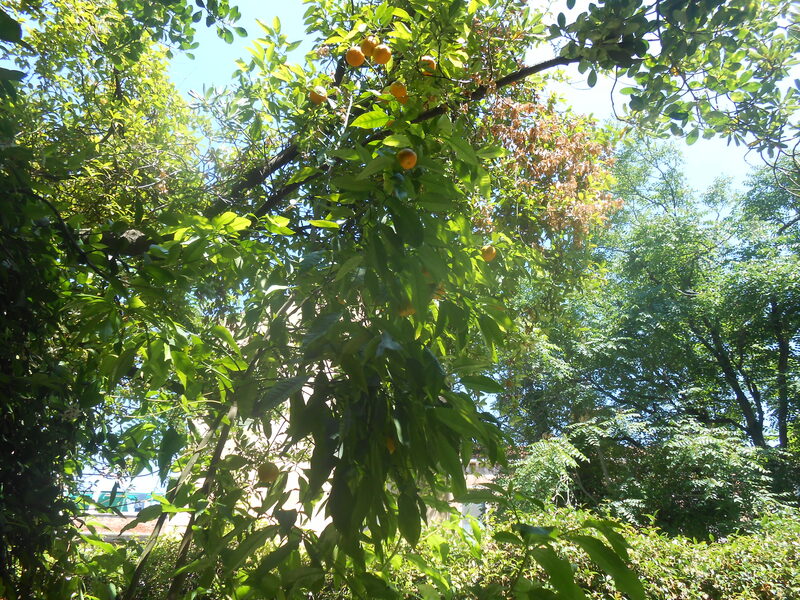 A grove of tangerines, lemons and oranges. This was followed by a visit to the most ancient church in the area and its archeological site. Unearthing the real history of the Lagoon – until now, we know bits and pieces of early Venetian history but cannot yet grasp the whole picture. We visited the home of a famous Venetian doge connected with Levantine business and enjoyed lunch in another palace garden of the 15th century, under a pergola laden with ancient uva fragola vines. This Retreat Day will available as ebook, called “From Silk Roads and Silk Trees”, and in print in February 2016 on this Page. I’ll name the book after the four silk roads – beaten paths by the Venetian merchants. 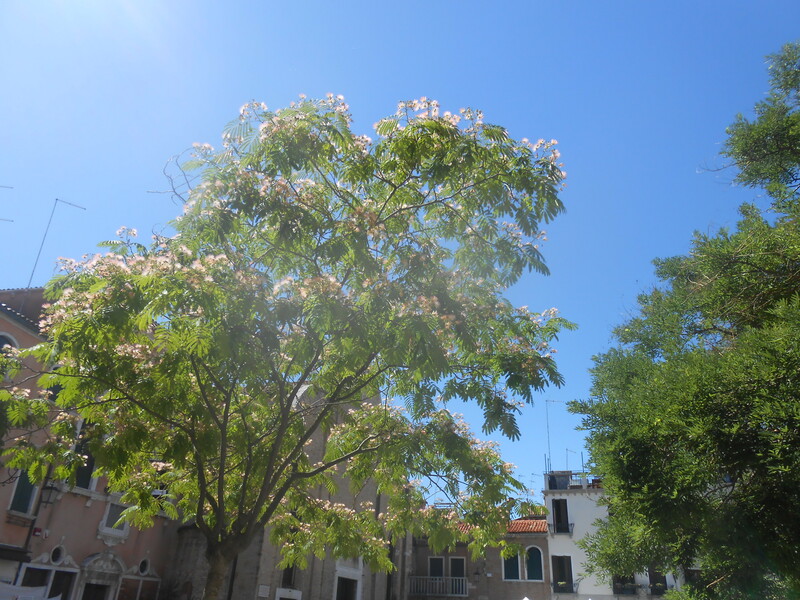 Click on the book to view the Picture Journal of our Levantine morning in Venice. The second edition of this Retreat Day taking place in June 2016 is open for pre-booking.